This Big Read – behind our paywall since Monday – is now free for a limited time. 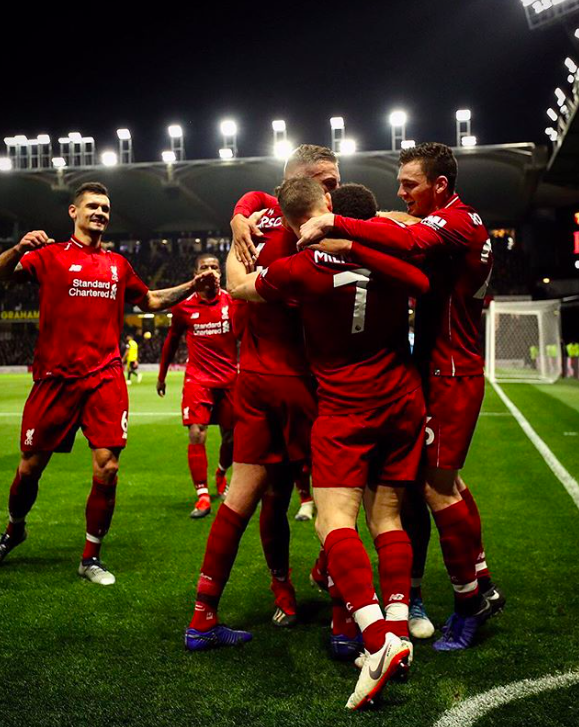 It struck me recently – amidst the bizarre growing antipathy towards Liverpool FC that has swollen way beyond the expected rivalries – that little would make a ton of neutrals and nemeses happier than Liverpool “doing a Napoli”: finishing 2nd with 91 points. It would make them happier, I’d argue, than if Liverpool were to finish a distant 3rd or 4th without ever being in a title race, when clocking up, say, a merely respectable 75 points. Liverpool being absolutely outstanding – but not quite as outstanding as Manchester City – would be hilarious, I’m sure. Imagine the bants. This is the same logic that sees Liverpool mocked for losing a Champions League final when City, Everton and Spurs have never even reached one in their history, Arsenal have done so only once (and for which I respect that achievement and remember the final), and the last appearances for Chelsea and Man United were now more than a handful of years ago. It’s the same logic where Chelsea fans can sing of Steven Gerrard falling over and conveniently forget John Terry slipping on the turf to miss his penalty to lose their Champions League final shootout. This is schadenfreude at its most absurd; weirder, almost, than fans from places of severe poverty telling Liverpudlians to “sign on”. The antipathy is partly due to how badly Liverpool fans want this (and yes, there are plenty of dickheads in our fanbase, but then there are in the fanbases of all clubs. Of course, I’m probably a dickhead too, but we all can be at times). However, it’s also a complex series of biases and fears that I will seek to unravel, whilst addressing our own fears, as fans, about what happens if the Reds don’t win the league – and how we still stand a good chance of beating “the best team in the history of football” to the crown. This means more. It’s a pithy slogan Liverpool FC uses in its marketing, and one that, to be honest, I’m a little uncomfortable with; after all, who is to say how much something means to someone else? While a football club’s marketing obviously needs to be seen as confident and empowering (“this doesn’t mean very much” doesn’t really work, does it? ), it could be seen to be a little arrogant. Having said that, compared to the vast arrays of empty seats at the Etihad, with fans sated by success (if they were ever that interested in the way it was “bought” by the randomness of a sheikh benefactor unconnected to England let alone Manchester, and all dumped into a soulless bowl of an arena, where everyone was then forced to sing the embarrassing “if you’re happy and you know it clap your hands”) you’d suggest that, actually, this does mean a lot more to Liverpool, where Anfield sells out every week and thousands more would love to get in. If football titles were won by desire and passion, Liverpool would have this one already sewn up. Alas, desire and passion only plays a part. Manchester City have the pride of defending their title, and are a sensational team, but the small and perhaps variable percentage of success that relates to hunger has to favour the Reds right now. All of this means it takes more of a toll on us, as fans. If Liverpool were to go on and win the league this season it would be an absolutely incredible feeling; not only to end a 29-year wait, but to do so against a record-breaking side whose own start [edit: before they lost to Newcastle] would still put them top of the table in more than half of the Premier League seasons since football was reinvented in 1992 (at which point Liverpool’s 18 league titles were painted out). If Liverpool are going to do it then it won’t be as a cakewalk. They won’t have to do it the hard way, but the hardest way. However, the danger is in us projecting too far into the future – imagining the prize, fixating on how good it would feel (or how bad it would feel to fail) – and experiencing tension and agony every moment for the rest of the season. This article (which was a free-to-read piece for a limited time) is for subscribers only. See details below on how to sign up.